In our American history class we are researching contemporary issues and designing ways that people can take action and improve our community. Our group is focused on Teen Gang Violence. This issue is important because many teens are being killed or thrown in jail. This issue is complicated because it is caused by kids who join gangs to feel safe and think it’s cool. However, we need to address it because it has serious effects like kids can get murdered or put in jail. It also has the long term effect of kids having anxiety and it can hurt their reputation. To address this issue, we think that people should build a program in which they help teens finding jobs or after school programs to use their spare time wisely. Some people might oppose this idea because it costs money, time, and a lot of effort, but it is a good solution because in the end these kids can produce their time into something useful. To raise awareness about teen gang violence, We have made a prototype that is a letter to the school board telling them the problem and solution towards teen gang violence. Please give us any feedback you have about our prototype to help us improve it to help raise awareness about this important issue. Hello, we are students at fremont high school who have a huge concern with teenage gang violence in Oakland. We choose oakland because we from oakland and we see a lot teenage gang violence. This is an important issue because it affects students and communities in a negatively way . One way that it affects the the community is that underage kids will be scared to go outside and it affects the students because their not attending school or getting the education that need. Student are sometimes pressured into doing things they don’t want to do. They lack education because they think it’s cool to skip school or go hang out with friend. The consequence of the not going to school is that you can’t get a job or you don’t get your high school diploma. This is a problem because students and peers are being injured, locked up, and dead due to teenage gang violence. 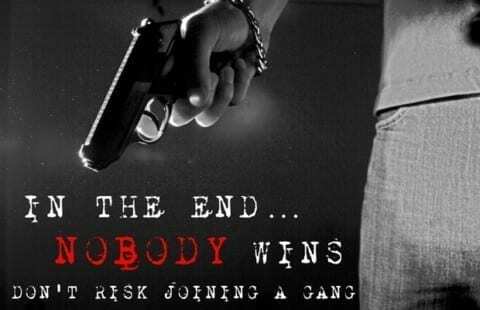 For an example gangs may lead to fights or gun violence and even robbery due to poverty and family issues. It may take away opportunity for students to go to school and get education. Also it will be harder for them to get a job because if there reputation is bad then it will be harder for them to get hired within the community. We find that a good solution would be for us to start a community program in which we can help teenagers. We need to find something for them to do for their spare time hours. This can help students stay out of gangs violence. Adults who volunteer can also teach kids how to deal with pressure. We can also help them to find a job for them to have a little experience on having to do with some kind responsibility. This would give kids a safe place to talk with an adult and make them have a sense of safety and shelter. Prototype: Raising Awareness About Teen Gang Violence by Romelo is licensed under a Creative Commons Attribution-ShareAlike 4.0 International License. What Do I Stand For?Which type of pet is the best to have? Thank you so much for enlightening me on this subject. I come from a place that gang violence isn’t on my grid, it is unheard of, and I am incredibly fortunate of that. I thought that you taking a stand is a great first step, and I think your plan is a good one. What do you think that other societies, with no violence like this, can do to help? I want to help your cause, but I don’t know how. I think you have a very important topic, and thank you for sharing it with me. This is such a great idea. Many teens join gangs because it is there only place to go and many of them feel as though they are truly cared for by the other members. It is great to utilize other options like school clubs, sports, etc to show these kids that there are other places they can go to receive the attention they need. I absolutely love the idea you are bringing forth about starting a program that helps teenagers and young adults find jobs in order to prevent them from joining gangs. Your idea is strong, but I would really focus on revising this and looking for grammar mistakes. Having fluid sentences is what will make the people on the school board consider this idea. Often times people in higher up positions will toss out anything that doesn’t even look worthwhile even if it is, so just clean up the grammar and you’ll be golden. I love the idea of voicing your concerns to an authority who could change the issue. However before sending your letter in I would consider adding a personal touch as well as proof reading. The school board is not going to take a lot of time to read so make sure you have a clear thesis. I think this is great but also talk more about how it affects you and others. Also, talk more about why teens go into gang violence, is it due to family issues? I think this is a very serious issue, even living in Oakland, teens are being killed from gang violence. Overall this is a great start. I am impressed by the many ideas, solutions and reasons you gave on this issue. Your letter sounds persuasive but it will be much stronger if you give a personal experience, someone you know. Other than that having mentors who can make workshops on how to deal with stress or talk about how they feel sounds like a really good exercise. Although, have you thought about involving the police when it comes to get teenagers out of a gang? I have seen multiple friends dealing with this type of issue trying to leave and things get messy. I think the way you’re addressing your issue awsome! We should have programs that would keep kids out of trouble. But mentally for the kids I think they suffer from association of bad influence in these communities. It’s all up to the them whether they want to join programs or not , majority of them probably wouldn’t even go because they scared about what their friends are going to say, and that’s the peer pressure. I think that there is a lot of programs but do the kids actually take advantage and go ? “No” They’re are just some kids who chose to be good and there are some who chose to follow the wrong crowd. Good start! I think talking about you personal would be good so the readers will get to know why this is so important to you. I like the concept because gang violence in oakland is high in the last year Oakland has lost a lot of young kids taken to young. Do you think your solution could actually stop gang violence completely? From reading the work I can see that you are really trying to get a point across when writing the letter to the school board. How could the school board change gang violence that happen in the streets of Oakland everyday? How could you stop this young adults from killing each other? I like the concept. There are several grammatical errors in the letter so I would have someone you know review it. I would like to hear more about what activities they would do in the community program. Overall I think it is a great cause. Good Luck! I think this a really good start, I think adding something personal like maybe someone you know who got trapped into gang violence and say how it has affected you. Also make it a little more fluent, not like your answering a questionaire. You mentioned starting a community program so I think you should go more in detail about so there is more chance of it happening. Good start, but you could try to include more specific information to hook the school board’s interest and show it is relevant to OUSD. I also suggest you all read it aloud together and line by line adjust any wording you need to strengthen your message. As Young Whan noted, you should provide more specific information about your proposed program as well. Hi Fremont students, thanks for thinking about how to address such an important issue. The school board is busy, so I think you need to make it very clear what you want them to do. Your second paragraph has a few different ideas. Pick one idea. Make sure to draw the reader’s attention to that one idea by making it the topic sentence (first sentence) of the second paragraph. Also, whatever idea you choose, it will have a greater chance of happening if you are very specific. Instead of writing “start a community program,” you could tell us the name of a program, what hours it will happen, which students would be enrolled, how would they be enrolled, etc.